Nate Silver wrote a good book about predictions. I told myself that is an interesting topic since I have seen enough failures trying to predict where the market is going. I want to know what an expert predictor has to say about that. Although he had a chapter dedicated to predictions about the economy and the financial markets, I have included relevant content from the other chapters into this article. “Hedgehogs are type A personalities who believe in Big Ideas – in governing principles about the world that behave as though they were physical laws and undergird virtually every interaction in society. Think Karl Marx and class struggle, or Sigmund Freud and the unconscious. Or Malcolm Gladwell and the “tipping point”. We adore concepts or theories that are neat and simple to understand. They help us understand the world better. However, the world is complex and beautiful theories oversimplify the matter. Hedgehogs are very good story tellers and we all love to listen to them. Stories are captivating. Complex stories are confusing. We prefer simple theories that can help us organise our thoughts about the world. Someone must have told a story about the “Golden Cross” and the “Death Cross” in the past and the society sort of accepted it. These are technical analysis jargons. A “Golden Cross” means a 50-day moving average has gone above the slower 200-day moving average in a price chart, and this is a bullish signal. The “Death Cross” is the opposite and it usually signify a crash is imminent. In a short history, we have seen the failure of the “Death Cross” during 2011, which the stock market did not crash after the signal was formed. 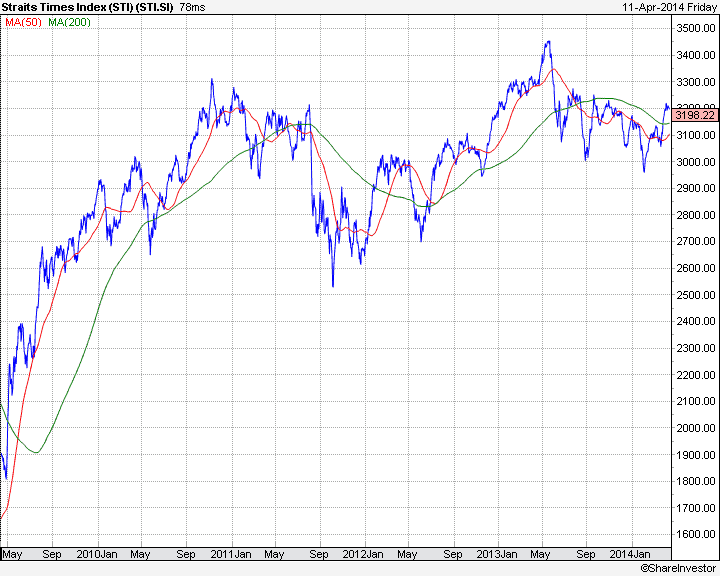 In fact, the Straits Times Index went higher than the 2011 high. Some would argue not all technical indicators are accurate all the time, and to complete a trading strategy requires money management rules to limit losses when the indicators fail. I agree. But my point is to identify the need to challenge our investment or trading beliefs, and not blindly believing in them. We need to accept we can be wrong all these while and take the courage to change our approach to the market. To Nate, the best way to be more right is to put your money where your prediction is. We will know how true our beliefs are by the amount of money we have made or lost. But you could construct a facetious argument for driving yourself home that went like this: out of sample of 20,000 car trips, you’d gotten into just two minor accidents, and gotten to your destination safely the other 19,998 times. Those seem like pretty favourable odds. Why go through the inconvenience of calling a cab in the face of such overwhelming evidence. The problem, of course, is that of those 20,000 car trips, none occurred when you were anywhere near this drunk. Your sample size for drunk driving is not 20,000 trips but zero, and you have no way to use your past experience to forecast your accident risk. This is an example of an out-of-sample problem. And the problem of not taking a longer period of historical analysis happened in the rating agencies leading to 2008 financial crisis. STI ETF exist for 12 years and made 8% per year on the average. To Nate Silver, this history is insufficient to determine 8% as the true average, even 120 years is too short in his opinion. Hence, a proper backtest is more tedious than we desire to conduct it. Taking an easier way out, we often test strategies in the past few years, and it may not be sufficient as market conditions do not stay the same all the time. Volatility spikes once in a while. Market booms and busts happen time to time. We may naively comfort ourselves to assume the strategy works in the future as it had, in the previous few years. And they are nonlinear, meaning they abide by exponential rather than additive relationships. The Chaos theory applies to the financial market. Booms and busts happen. Price changes are non-linear. There are a million possibilities that may unfold, depending on the interactions among the market participants and the feedback loops they acted upon. Hence, it is a extremely complex matter and we should be wary with the kind of predictions about the economy others try to sell to us. We may have quirky habits. Is there a lucky shirt you would wear whenever you invest? I won’t be surprised if there are such practice somewhere in the world. It may be coincidental that this guy made money from stocks whenever he wore a particular shirt, and it has become a causation factor for him. Is it true or not? It may be an extreme example, but did we mistake correlation for causation? “As Hatzius sees it, economic forecasters face three fundamental challenges. First, it is very hard to determine cause and effect from economic statistics alone. Second, the economy is always changing, so explanations of economic behaviour that hold in one business cycle may not apply to future ones. And third, as bad as their forecasts have been, the data that economists have to work with isn’t much good either. …Most statistical models are built on the notion that there are independent variables and dependent variables, inputs and outputs, and they can be kept pretty much separate from one another. When it comes to the economy, they are all lumped together in one hot mess. …one difference between weather forecast and economics: “The physics and chemistry of something like a tornado are not all that complicated. That does not mean that tornadoes are easy to predict. But meteorologists have a strong fundamental understanding of what causes tornadoes to form and what causes them to dissipate. Economics is a much softer science. Although economists have a reasonably sound understanding of the basic systems that govern the economy, the cause and effect are all blurred together, especially during bubbles and panics when the system is flushed with feedback loops contingent on human behaviour. …If you look at the economy as a series of variables and equations without any underlying structure, you are almost certain to mistake noise for a signal and may delude yourself (and gullible investors) into thinking you are making good forecasts when you are not. In this disjunct lifting of quotes from the book, I hope to elicit the points that (1) the economy is more complex than a pure science subject like the weather because the former involves human behaviour, (2) a proper understanding of the economy is required to make a meaningful prediction, but it is lacking at the moment, until perhaps behavioural finance matures. I always do not believe in prediction in where the market is going even though Nate said that bettering predictions is required for society to progress. But right now, I will continue to ignore experts’ or economists’ fortune telling the direction of the markets or the economy. I am not going to let them affect my investment decisions. We are overconfident as humans. We all think we are above average drivers – who is the average then? “…can be applied to traders on Wall Street, who often think they can beat market benchmarks like the S&P 500 when they usually cannot. More broadly, overconfidence is a huge problem in any field in which prediction is involved. The danger is that we always look at the select few who beat the market and think we have the chance to do so too. If he can do it, so can I! “[W]hen a field is highly competitive, it is only through this painstaking effort around the margin that you can make any money. There is a “water level” established by the competition and your profit will be like the tip of an iceberg: a small sliver of competitive advantage floating just above the surface, but concealing a vast bulwark of effort that went in to support it. Baseball, in the pre-Moneyball era, used to be one of these. Billy Beane got an awful lot of mileage by recognising a few simple things, like the fact that on-base percentage is a better measure of a player’s offensive performance than his batting average. Nowadays pretty much everyone realises that… Poker was also this way in the mid-2000s. The steady influx of new and inexperienced players who thought they had learned how to play the game by watching TV kept the water level low. If you have strong analytical skills that might be applicable in a number of disciplines, it is very much worth considering the strength of the competition. It is often possible to make a profit by being pretty good at prediction in fields where the competition succumbs to poor incentives, bad habits, or blind adherence to tradition – or because you have better data or technology than they do. It is much harder to be very good in fields where everyone else is getting the basics right – and you may be fooling yourself if you think you have much of an edge. Is the market you choose to invest or trade a small pond or a big pond with many professionals? Personally I do not like to invest in big caps or stocks that are popular because it is a highly competitive game. Predicting earnings growth is a professional game and I do not think I have much edge in this big pond. I rather invest in undervalued but fundamentally strong small caps. It is a smaller pond with less competition and the low liquidity speaks for that. There aren’t many fund managers, analysts, professional traders in this small pond. “Play well and win; play well and lose; play badly and lose; play badly and win: every poker player has experienced each of these conditions so many times over that they know there is a difference between process and results. Similar to trading and investing where you have a strategy. You should focus on carrying out the strategies and pay less attention to the results. Market is chaotic and you can lose money at times while following the rules of your strategy. You get frustrated and assume your strategy lost the edge and you start to break rules, and yet, it is possible to make money. Jumping in and out of a strategy gives you mixed results and it is better off sticking to the strategy through thick and thin. But the assumption is that the strategy has an edge over the others in the long run. Speaking about edge, there is one that you can easily exploit, but you may not want to wait. Or would you? “When the P/E ratio is 10, meaning that stocks are cheap compared with earnings, they have historically produced a real return of about 9 percent per year, meaning that a $10,000 investment would be worth $22,000 ten years later. When the P/E ratio is 25, on the other hand, a $10,000 investment in the stock market has historically been worth just $12,000 ten years later. And when they are very high, above about 30 – as they were in 1929 or 2000 – the expected return has been negative. However, these pricing patterns would not have been very easy to profit from unless you were very patient. They’ve become meaningful only in the long term, telling you almost nothing about what the market will be worth one month or one year later. Even looking several years in advance, they have only limited predictive power. …So long as most traders are judged on the basis of short-term performance, bubbles involving large deviations of stock prices from their long-term values are possible – and perhaps even inevitable. “Some theorists have proposed that we should think of the stock market as constituting two processes into one. There is the signal track, the stock market of the 1950s that we read about in textbooks. This is the market that prevails in the long run, with investors making relatively few trades, and prices well tied down to fundamentals. It helps investors to plan for their retirement and helps companies capitalise themselves. Then there is the fast track, the noise track, which is full of momentum trading, positive feedbacks, skewed incentives and herding behaviour. Usually it is just a rock-paper-scissors game that does no real good to the broader economy – but also perhaps no real harm. It’s just a bunch of sweaty traders passing money around. However, these tracks happen to run along the same road, as though some city decided to hold a Formula 1 race but by some bureaucratic oversight forgot to close one lane to commuter traffic. Sometimes, like during the financial crisis, there is a big accident, and regular investors get run over. Nate Silver seems to be inclined to fundamental analysis, or value investing, as he called it the Signal. He is opposed to trading, which he described it as making buy and sell decisions based on noises. Some of these points have made me challenged my assumptions and I felt uncomfortable at times. But we need to be truthful to ourselves and review what we are doing. We become more right when we are less wrong. Nate Silver did a good job with this book – challenging the way we conduct ourselves in the real world. What do you think? What do you agree or disagree on? Great read littered with good advice. I guess when we first started out getting exposed to investing, we behave like foxes. We try out all types of investing – trends, candlesticks, follow brokerage reports, 52 week lows till we find ourselves settled with one or two solid ideas that we find ourselves able to appreciate, apply and have success. We become hedgehogs. I have my doubts on back-testing. It works well if history repeats itself and in loop but can be misleading if tested on subject that has fundamentally changed. I like to think the performance of the underlying stocks that gave STI a 8% p.a. on average for past 12 years would change for the next 12 years. How will it change? That’s when it’s probably better to err on side of caution. Predictions are hard…anyone guessing tonight’s Liverpool vs Man City score? Hey Henry, it is possible to be a hedgehog from a fox and vice versa. Nate’s point is that hedgehogs are poor predictors (not necessarily bad), but they may over simplify complex things like the stock market with a grand theory that are too risky for our pockets. I am actually more a hedgehog than fox, although I have elements of both. Yes, nobody knows where STI ETF will go and likewise sg stocks wi be affected if STI is going downhill. We always need to keep an open mind and fox around when required. I am a Man U fan btw! The main problem in a lot of books is that they are written by writers, navel gazers and armchair philosophers, not investors. Real investors don’t write books. All these writers like Nate, Taleb and other snake oil sellers are adding more noise to the the universe. There is only one book out there : The Intelligent Investor. The rest are not worth the paper they are printed on. 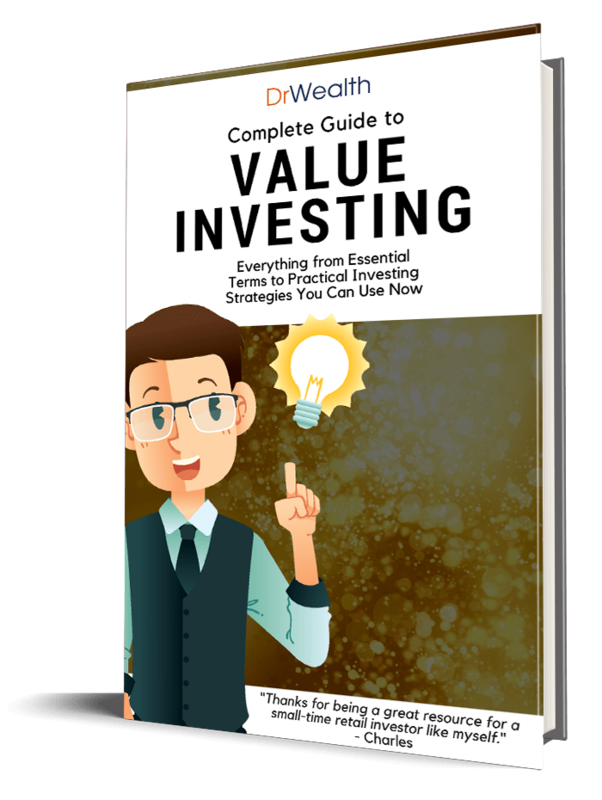 Read The Intelligent Investor for breakfast, lunch and dinner, and I promise you that you won’t lose money. Haha Eric, this is not a book about investment but predictions. I weighted too much on investments and did injustice to the book. Nonetheless I agree with you Benjamin Graham is the best when it comes to investment principles.